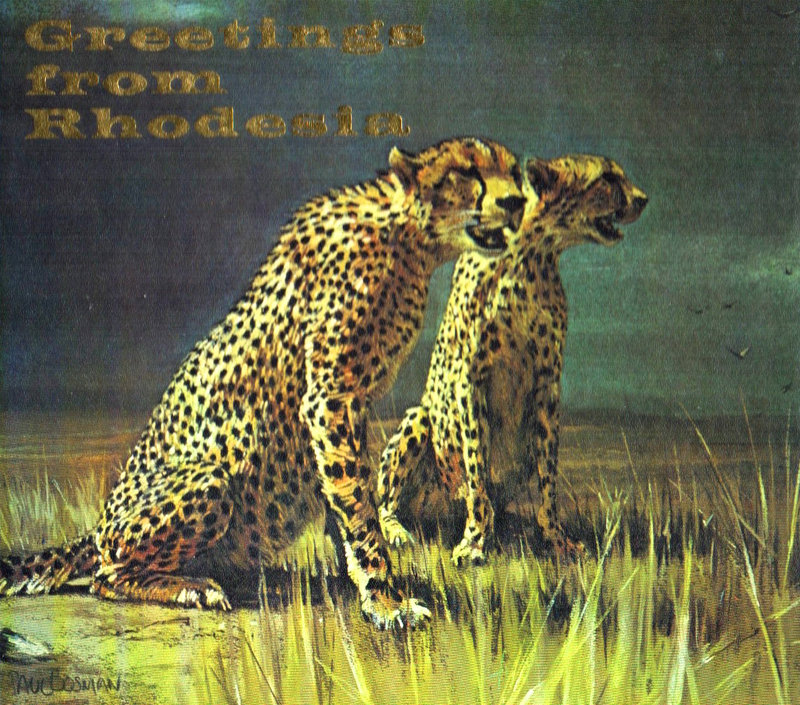 "Greetings from Rhodesia" booklet, published by the Rhodesia National Tourist Board in 1976. A real RARITY, folks, chock full of illustrations of African game animals, Bridal Veil Falls, Secretary Birds, trout fishing and more! Beautiful artwork by Paul Bosman adorns the cover. Hardback in Very Good condition, with salutation on front page. Only one in stock.